Most people with milling machines are in the business of taking jobs and cutting them. However, once in a while, there is a question asked, or a challenge to be met, as is the case with our latest blog. A company in particular, which we can not name, needs to face mill samples of material, which are then used for metallurgical testing. Depth of cut needs to be enough to get to get all the scale off and show clean metal. 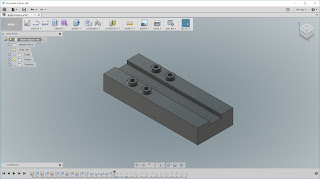 The question was; can this process be done on a small CNC, like the Tormach PCNC 440? Also, can the process be automated, and most importantly, can the cycle time be reduced to under 30 seconds? 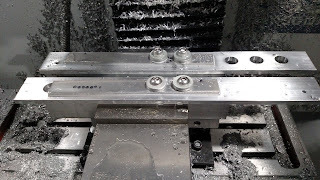 In this case, tooling was provided by the tooling supplier, as well as two of the sample pieces. While the material is proprietary, we did learn the hardness was around 54-55 on the Rockwell C scale. 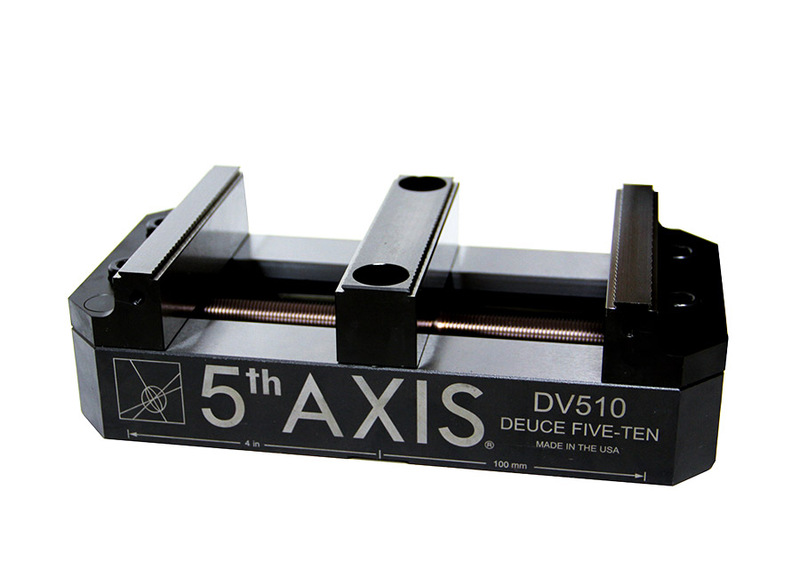 The cutting tool supplied for the testing was a four-flute 1/2" dia cutter, with a 0.03" corner radius. Since we only had two samples available to us, we would not be able to perform dozens of speed/feed cut combinations. 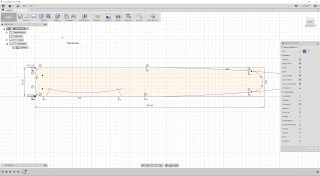 We used HSM Advisor, with a downloaded power profile for the PCNC 440. After inputting some data, and doing some calculations, we were able to get the cycle time down to 23 seconds, as shown in the video below. You can hear the spindle draw as the cut starts, but it mills the pieces completely, and in 23% less time than requested. Moving forward, the mill is large enough to hold several test samples. Either a custom fixture could be made, or they could simply use a self-centering vise, such as a 5th Axis Deuce, to hold multiple parts. With this project, the tooling was provided. 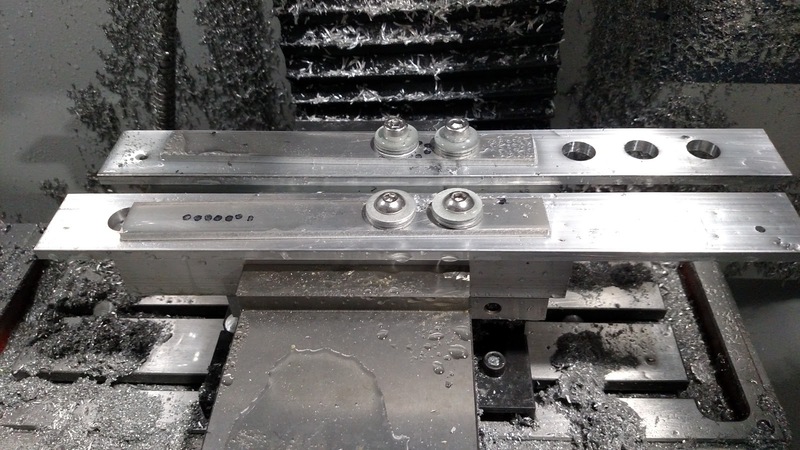 However, we would like to try inserted tooling to see if additional speed benefits could be obtained. 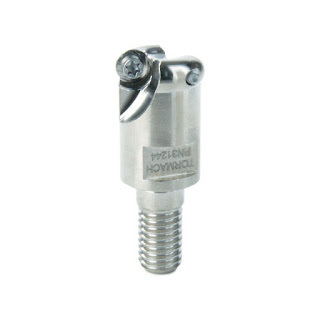 Cutters like these toroidal cutters with round inserts may allow for additional chip thinning, and faster feed rates. However, the project was definitely a success. We are able to get a more than acceptable cycle time, we can automate the process, and it can be done on an affordable, compact, CNC mill. I know, sometimes you're in a hurry, and you don't want to spend the time to import and model your vise, clamps, bolts, or other fixturing into your model before programming CNC cutterpaths. But, how will you know whether your cutterpaths are completely safe without doing so? 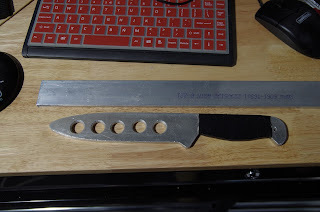 Well, we were in a hurry to start milling for our martial arts practice knife project. Even though we thought we had a high enough clearance plane set, turns out the washer made it just high enough to cause a problem. Moral of the story is to include your fixturing into your model. Need to add basic components within Fusion 360? 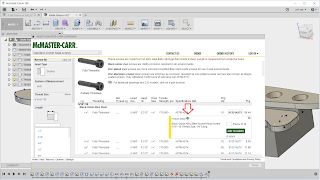 It easy to do, just use the included McMaster-Carr catalog, sort through the catalog to find your component, click the part number then the little "CAD" button. 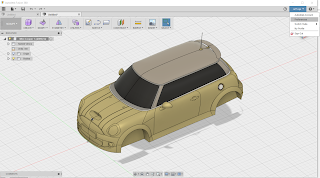 This will allow you to insert your component directly into your active model. Save your tooling, don't let this happen to you. 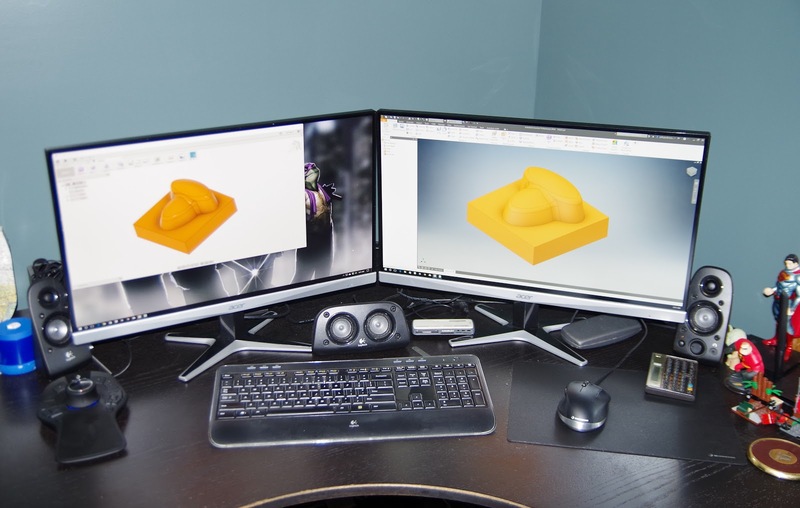 When it comes to CAD, you want to use a monitor that is sharp, clear, and hopefully causes less eye strain. 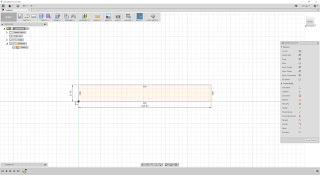 Resolution of the monitor has always been an important factor when in use for CAD. Once LCD flat screens became more commonplace and affordable, many people switched to using them. However, many early affordable flat screens were limited to a resolution of 1024x768. Many CAD users, with higher resolution screens, preferred and continued to use their high-resolution monitors, like the (very heavy) Sony shown below. With the introduction of HD (1920x1080) TV's and monitors, most CAD people switched to this format size. 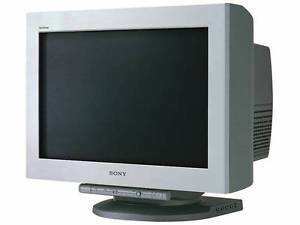 However, even an HD monitor does not have as high of a resolution as the old CRT Sony shown above, which was capable of 2304x1440 resolution. Here at the CADCADZen labs we originally used dual 1920x1080 HD monitors for our desktop computer. These were used for surfing the web, office tasks and also CAD/CAM. We chose a 25" monitor over a 24" simply because the size difference is noticeable, where the 25" truly measures 25 inches diagonally, whereas most 24 inch monitors were 23.6 inches diagonally. In January of this year, one of the 25" monitors stopped working, and we needed to replace it. This opens up the possibility of going to a higher resolution monitor, such as a 2K or 4K, or simply staying with a cost effective HD monitor. Since we always have to consider the budget, I found a good deal on a 2K (2560x1440) monitor. In this case it was the ACER G257HU. These can now be found online for around $200. To see the difference in resolution between an HD (1920x1080) monitor and 2K, see the image below. 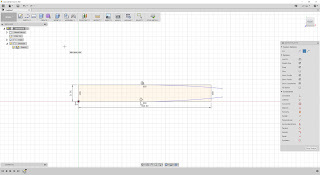 On the left is a window of Fusion 360 limited to 1920x1080 resolution. You can clearly see from the background around it how much additional resolution (pixels) are available for display purposes. On the right is the same part loaded into Inventor utilizing the full resolution. 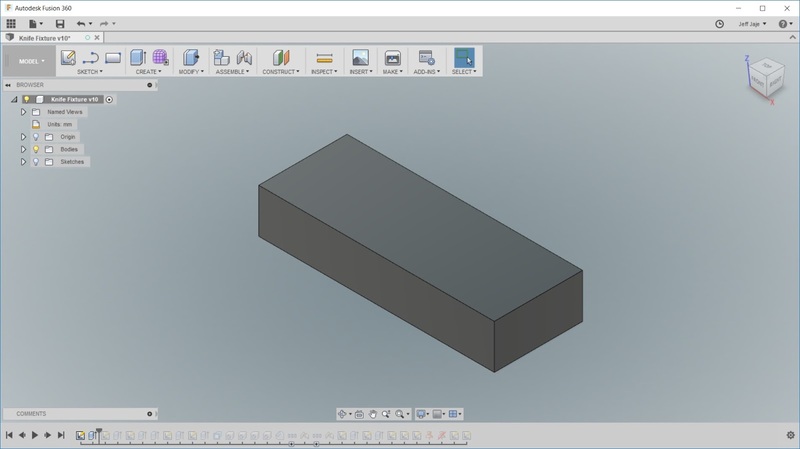 The purpose of today's blog is not to push a particular monitor, but rather to show you the difference between a 2K and HD display for CAD. However, this monitor is an IPS display, has good brightness, is quite sharp and had good reviews. YouTube videos played in a window are crisper. Excel, Word and Outlook all display more data clearly. Work on more charts and graphs on one screen at one time. Pictures from Digital SLR and Camera phones look sharper. If you are looking at CAD monitors, and are still budget minded, consider a 2K monitor. In the long run we believe you will be happy you did. Maybe in a few years, 4K monitors will be priced lower, and we can do a similar story. Until then, we will continue to use our 2K screens for CAD/CAM, internet surfing and basic business work. it's the occassional thoughts, projects, musings, and opinions of a mechanical engineer that has been involved with CAD/CAM products for over 30 years. In parts one and two, we design the knife, fixture and manufacture the fixture. 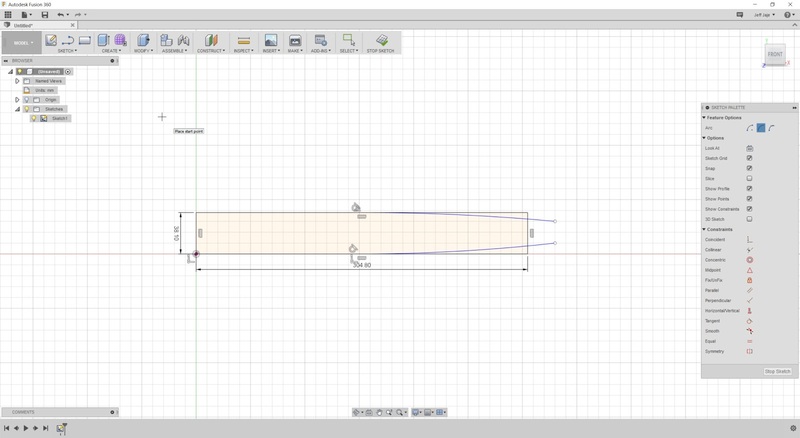 Here is how we milled the knife on the fixture. There are many ways the knife could be milled, remembering we are going from a rectangular piece of material. You could step down with small steps as shown below. 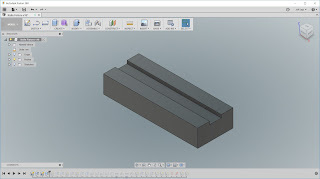 At times the tool will be at 100% width, but the step downs would be small. 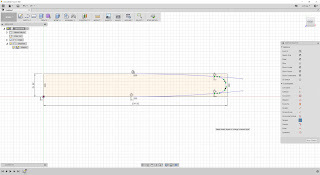 Alternatively, you could mill sideways into the part as shown below. This does not work well because it wastes a lot of time in the air, and it runs into the neighboring knife. We could select just the geometry needed, and do an adaptive clearing as shown below. Then follow it up with a finish contour. This is the most efficient method, and safest. You have Fusion 360 installed, what's the first thing you should do? Everybody will have their own opinion. 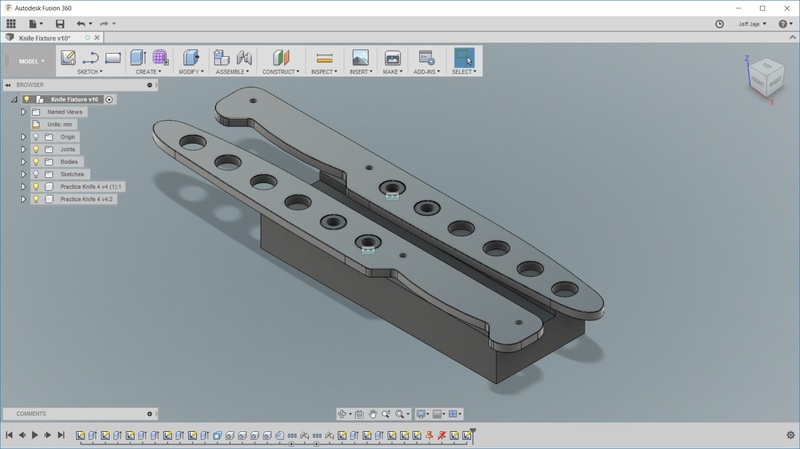 One thing you could do first is set your Default Modeling Orientation. 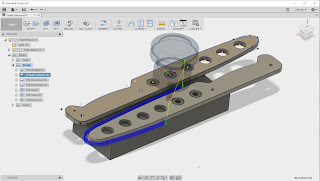 When you think of the TOP view of your model, do you normally associate that with the Z axis of your part or the Y axis? The default model orientation in Fusion is set so that Y is the normal direction for the top view. 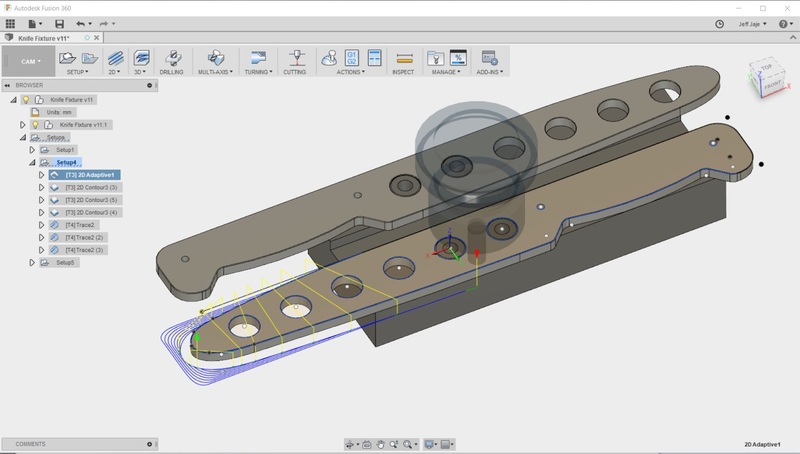 If you work in certain industries or do a lot of manufacturing, you may prefer to have the Z-axis be normal to the top view. 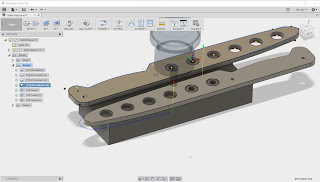 Here is our video for our very first Fusion 360 tip. Special thanks to GrabCAD, where I grabbed the model, and Scott Russell that put it there. 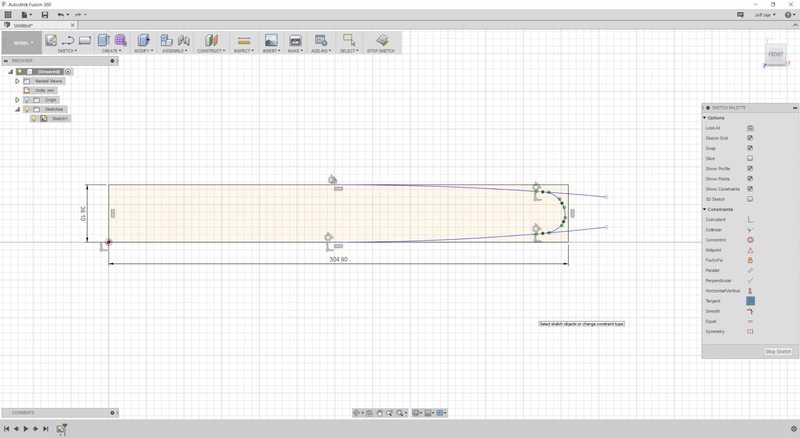 Originally this was going to be a two-part blog, design the knife and then make the knife. However, because of a few issues, specifically, the knife is larger than the travel on our mill, we decided the fixture was a bit more involved. Creating the fixture is now Part 2, and Part 3 will be the actual creation of the knife. 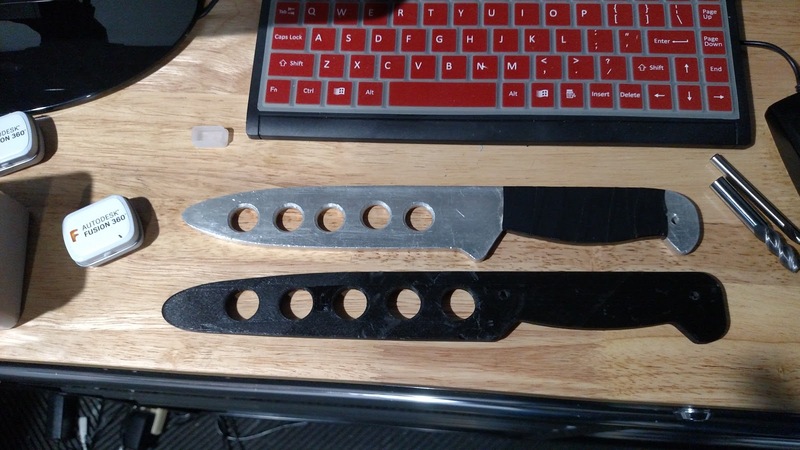 First a big shout out to James on our marketing team, as he has access to a 3D printer, and printed me a sample knife so I could see if I wanted to make changes to the design. After getting the sample, I decided to refine the contour a little, adjust the hole diameter, and space the holes better. Visit James' blog UnprofessionalEngineering the podcast is pretty good, even if he hasn't had me on as a guest yet. Since the knife is longer than the "X" Travel on our mill, we will have to cut half of it, flip it around, and cut the other half. I'd like to be a little bit more productive in this task, so I designed a fixture to hold two pieces in the mill. First we started with a simple rectangular shape. 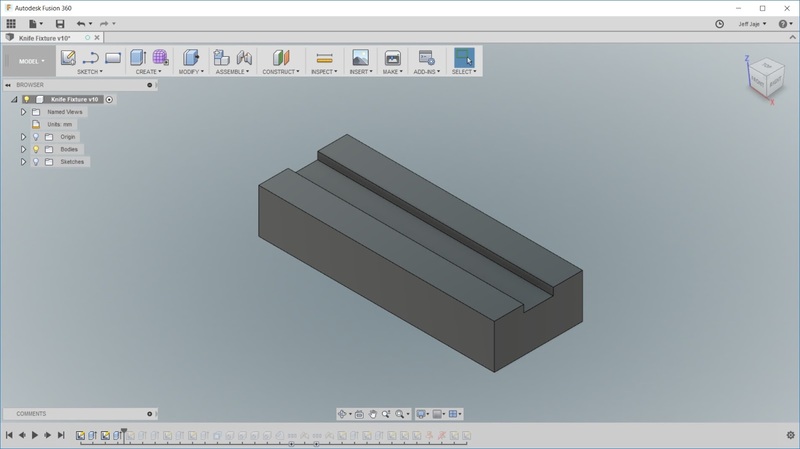 Next we create a slot, so the knife will be supported by the raised portions, so the tool has clearance to position the bottom of the tool below the bottom of the knife stock. From there, we add two bosses, which are the same size and distance as the first two holes in the knife design. This will be used to locate the knife. Then we create a tapped hole in the center of the bosses, so we can screw the knife stock down. 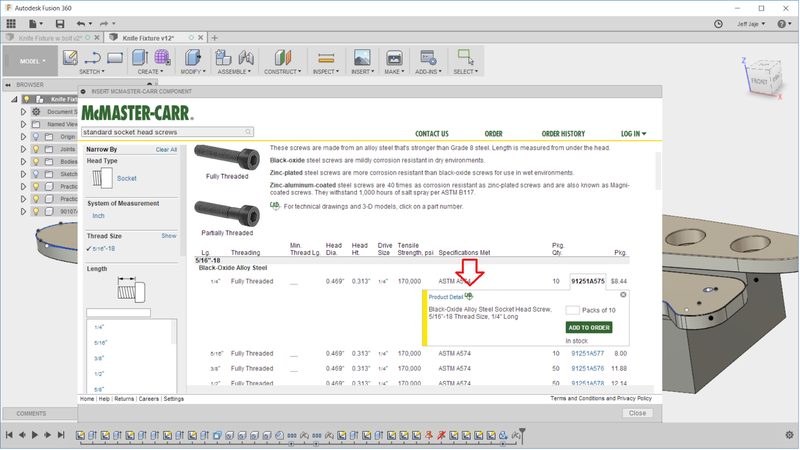 From there, we drag and drop our part into the fixture drawing, and use an Assembly > Joint command to locate them together. When complete, and assembled, the fixture, with parts ready to mill, will look like the image below. I'm using an aluminum strap, with the 5/16 bolts, to hold the parts down. I figured this was the best way to reduce vibrations of the relatively thin aluminum bar stock. In part 3, we will mill the knives, and finish up. I hope you enjoyed this blog, and please leave a comment on anything you'd like to see designed or made. Many people that practice and study the martial arts, eventually practice with a training knife for instruction relating to bladed weapons. This is especially true if you practice a style that specializes in knife fighting, such as many of the Indonesian and Filipino systems do. For this blog, we wish to manufacture some of our own training knives, as the class size is growing and we need some more. We already have some sample blades, and some extra material that may work out nicely. 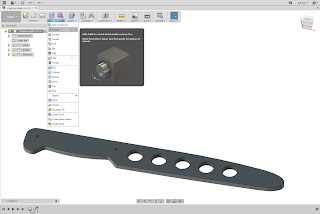 We are not attempting to create the original blade exactly, but rather make a design that is just as functional, but is our own and works within the material we already have on hand. Below is an image of the original blade, and the material we already had in stock to create a training knife. Thickness is the same, but the stock is not quite as wide, meaning the finger guard will likely end up being a little smaller. In reality, the finger guard is very important to your own safety, but for the training knife, what we have should suffice. There are many ways of designing this, and this is just one method. 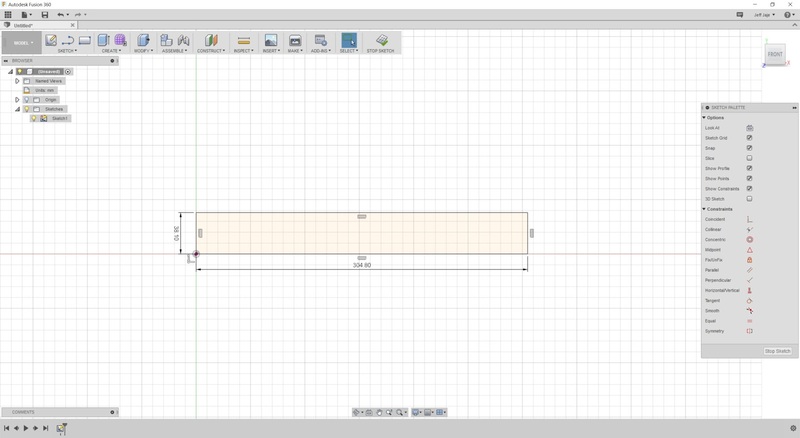 Here we started by making a sketch rectangle the size of the blank. We used the Tab key to go from the height to length dimensions. You can also perform arithmetic expressions in the dialog box. 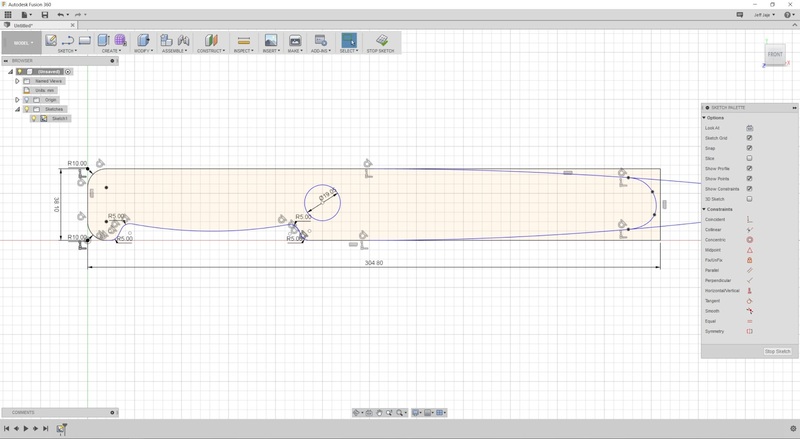 We then used the 3-pointy Arc command to create an arc shape at the top and bottom of the blade. Since we don't need to follow any kind of print exactly, we are going for an aesthetic shape, that will be safe in use. Because these will be used in training, we want the end to be blunt and have no sharp corners. In this case, we used the spline command to make a curve that s a rounded end. After making the spline, we forced a tangent constraint. The advantage of using the spline is that we can push and pull it to make the blade longer, and it maintains a smooth shape and the tangency at all times. From there, we work on the grip by filleting the corners on the pommel, and adding two lines and a 3-point arc for the grip. We finish the grip by creating more fillets in all the corners. Then for the holes in the blade, they can be added as a hole after the solid is made, or they can be added as part of the sketch as a circle. In this case, we added some circles to be used as holes in the blade. 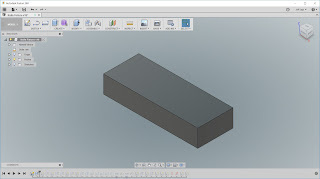 Lastly, we will extrude the sketch profile into a solid, making it 6.35mm thick. To further add safety, we can add a chamfer to the top and bottom profile of the blade. 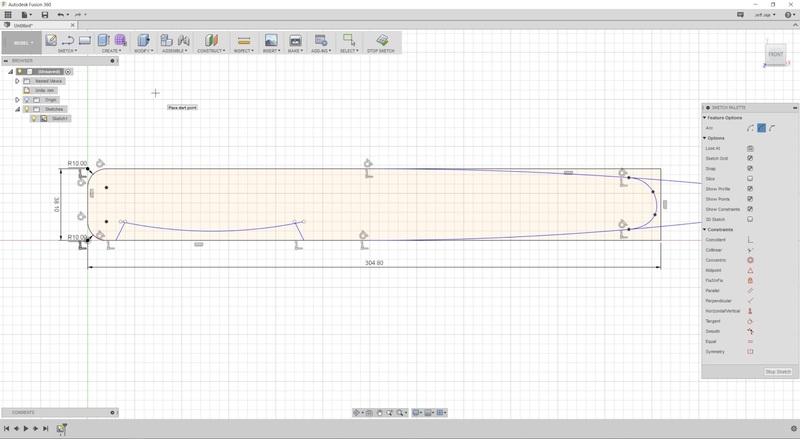 In our next video, we will program and mill the training knife on a CNC milling machine. We hope you have enjoyed this video and blog, and feel free to ask any questions.